Summer started early to me. I guess there’s no need for me to wait for the season to officially start especially when visiting a place with clear blue water and magnificent sand bar makes me feel it’s forever summer. It was already 5 months since I’ve gotten myself off in a beach getaway. After traveling to India for 15 days, I’ve decided not to attend any travels and just wait for my next planned one. I had spent my months on hiatus catching up with family and friends but as months go by, the urge of going back to the beach is killing me already. Well, good thing I don’t have to wait much further as I had a scheduled flight on the early month of the year going to the southern part of Visayas. It was early February when I together with my two friends flew to Dumaguete and spent a weekend in an island resort situated in the southern part of Cebu. I’ve been to Cebu several times already but haven’t really explored the southern part of it. 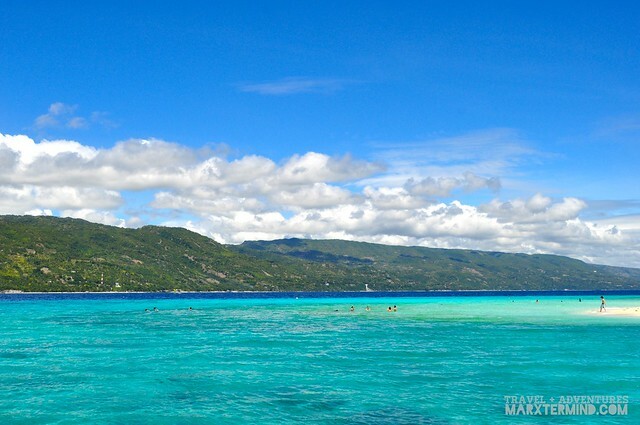 Cebu is home to numerous beaches, one of these can be found in Sumilon Island. 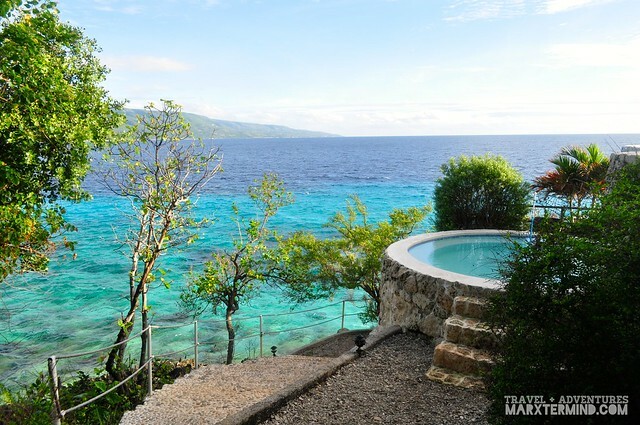 Sumilon is a 24 hectare coral island which is part of the town of Oslob. 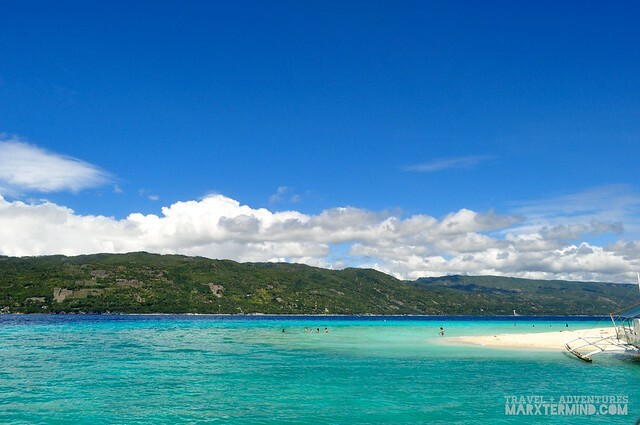 The name of the island was said to originate from the Cebuano word nisilong, which means “to seek refuge”. 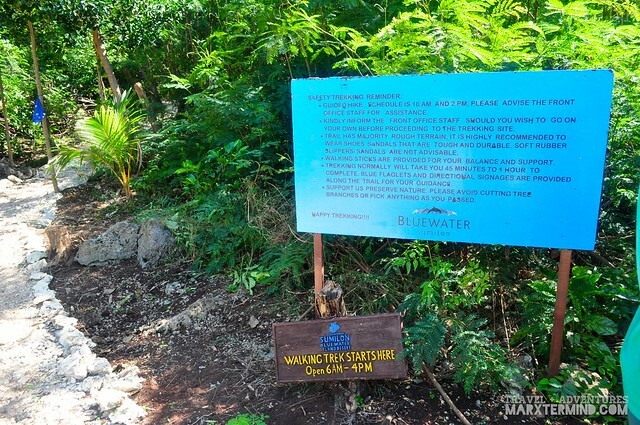 The island is now owned by the Bluewater Resorts. 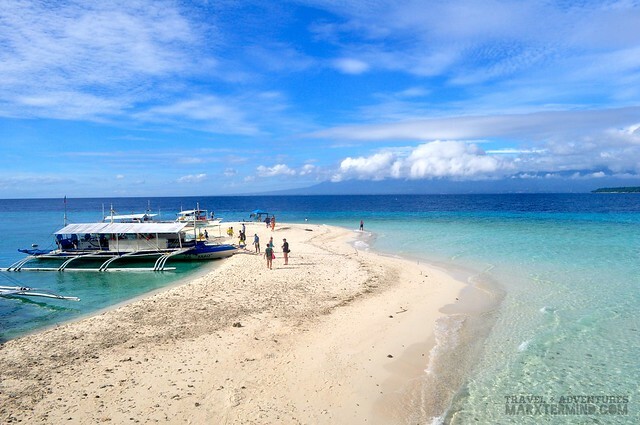 How to go to Sumilon Island? There are two routes from Manila to get to the island, (a) via Dumaguete or (b) via Cebu. Taking a flight to Dumaguete will take about 1 1/2 hour to get to the island while flight to Cebu will take about 3 hours to reach the island. From Dumaguete, take a tricycle or public jeepney going to Sibulan port. From the port, there are ferries and pump boats that leaves every 30 minutes that go to Santander port. The sea travel takes about 30 minutes. After reaching Santander, take a bus bound to Cebu that passes by the town of Oslob – get off at the Bluewater Sumilon Island Resort port. Travel time takes about 15 minutes. 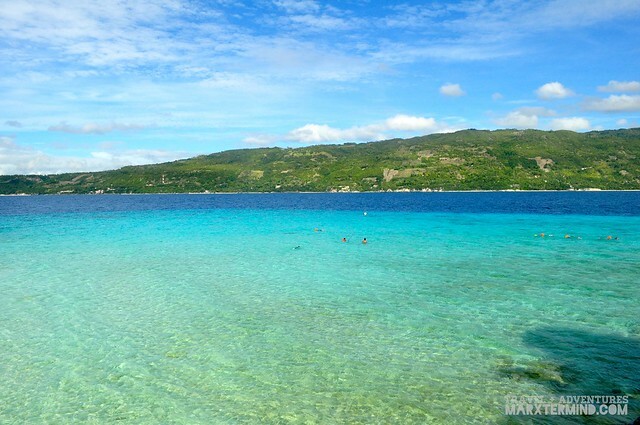 From Cebu, take a bus bound to Oslob or Santander and get off at the Bluewater Sumilon Island Resort port. Travel time takes about 3 hours. There’s a boat from the port area of Bluewater Sumilon Island Resort that goes to and from the island on a schedule – mostly with an hour interval. For convenience, you may also arrange the transportation at the resort. Full board and other resort packages already include the round trip transfer. The resort has 5 accommodation options for its guests to choose; Family Villa, Honeymoon Villa, Premiere Deluxe Room, Deluxe Room and Glamping Tent. 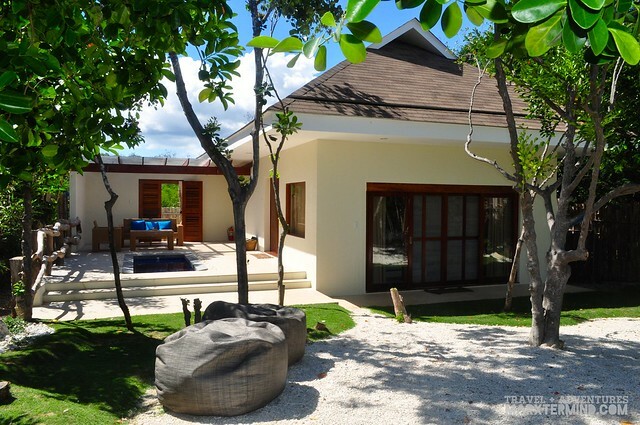 The villas are the most private and secluded accommodation in the resort. 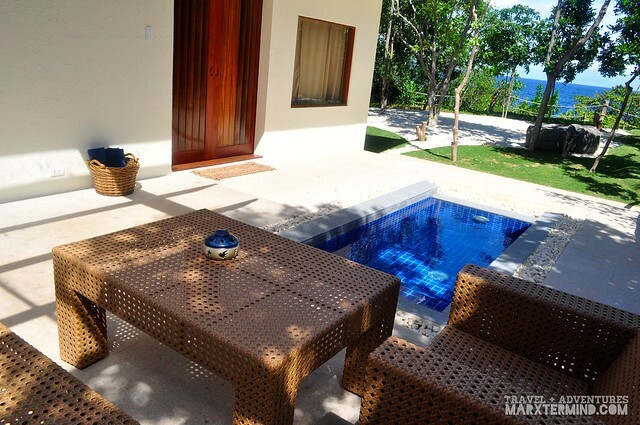 It comes with its own private dipping pool and a veranda with a nice view of the sea and the neighbouring islands. Premier Deluxe Rooms, the type of room that we had stayed for two nights, are situated fronting the ocean with a panoramic view of the stately mountain range. 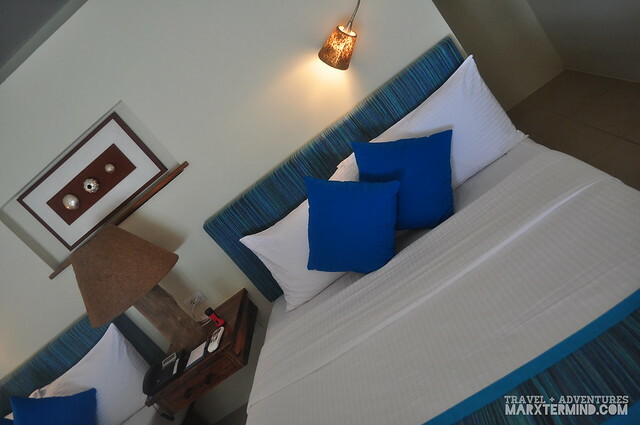 The room has an area of 67.30 square meters with two very comfortable queen sized beds along with other amenities. As soon as we were taken to our room, me and my travel buddies couldn’t help but start taking pictures of the room (selfies included). How the room looks like really wowed us. It’s going to be a good and relaxing weekend, I guess. Well, it happened. 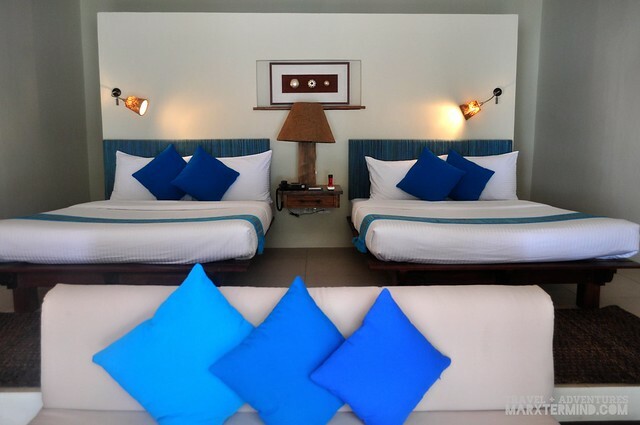 I like how they set up the room, the beds fronting the ocean making it feel more cozy. The colour match the vibe of the room. The overall ambiance is very unwinding. 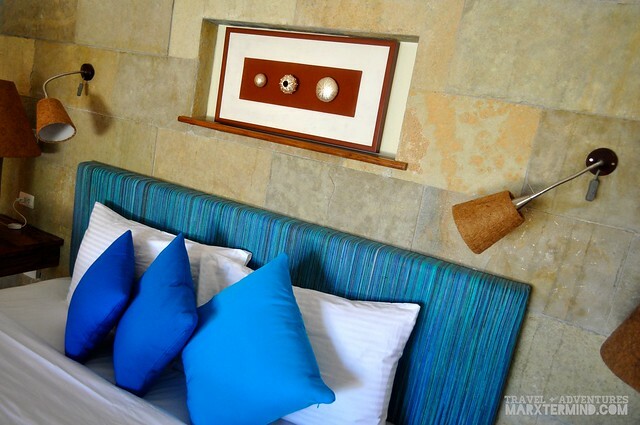 The resort doesn’t only offer comfortable rooms but eco-friendly accommodations as well. As part of their latest offering, Bluewater Sumilon Island Resort offers Glamping Tent accommodation for guests who seek contact with nature. 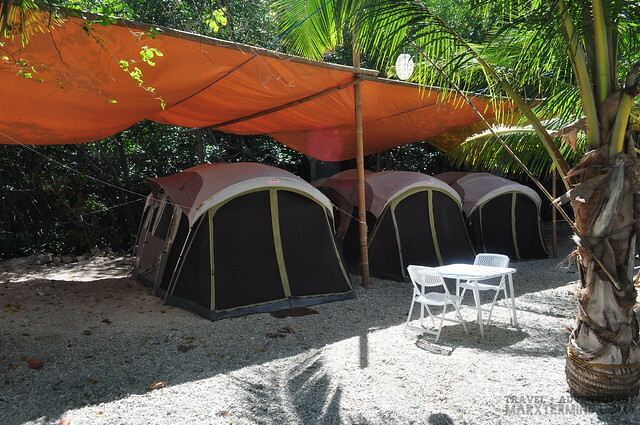 It is a great alternative to traditional camping by having the glam, comfort and accessibility to resort amenities. 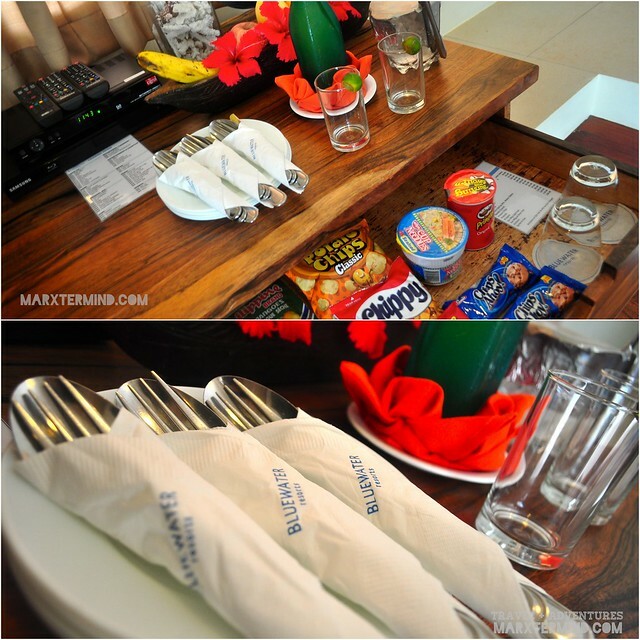 Each glamping tent comes with two beds, in-tent mini bar table, closet, toiletries and chairs. A camp assistant is also available to service the guest needs. Now that is what I want to experience next. All rooms (except for glamping tent) come with the following amenities but may still differ; queen size beds, private veranda, mini-bar, cable TV, telephone, hot & cold shower. I like how spacious the bathroom is. You can actually cartwheel inside, that’s how big it is. The closet is also very nice which you can open from front and back. 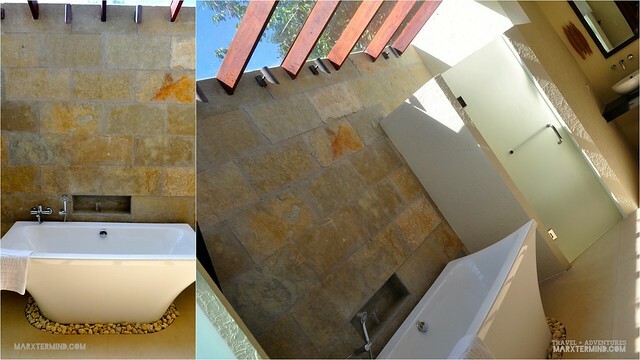 Bath tub is also available but only at villas type of room. Oh well, this is what my friend, Brenna had been looking for during our stay. Aside from the warm and cozy accommodations the island resort have, Bluewater Sumilon Island Resort has several recreations that its guest can enjoy to. The resort has a library wherein you can borrow reading materials from their selection of bestsellers and historical books. 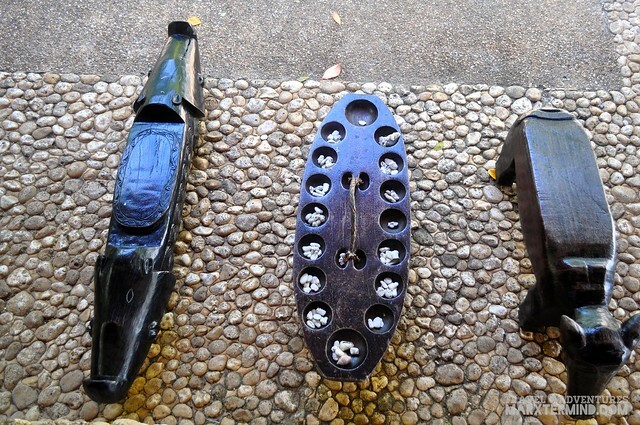 They also have traditional Filipino game materials that you can play to. 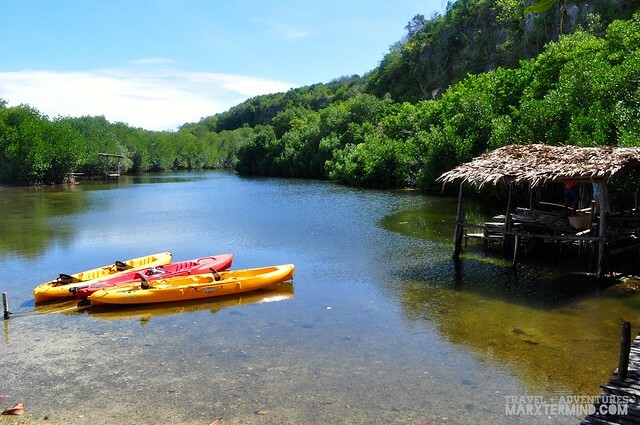 Also part of the island resort’s array of recreation is lagoon kayaking where one can explore the island’s calm lagoon through the high mangroves. Trekking is also part of the resort’s in-house adventure. The trekking around the island takes about 45 minutes to an hour depending on the pace. The trail is truly wondrous. A nice view of the surrounding can be seen during the walking trek. 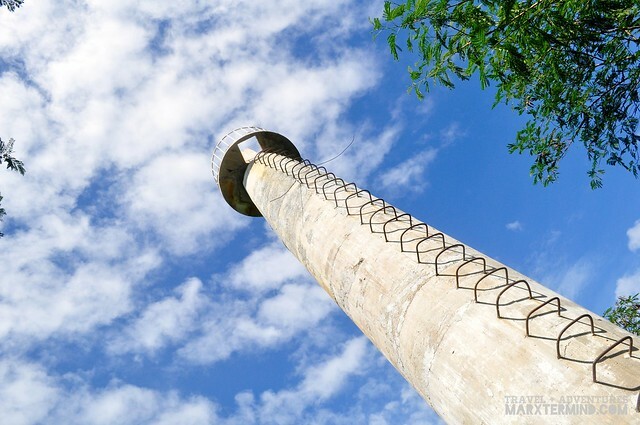 There’s also a light house situated on top of the island’s summit. 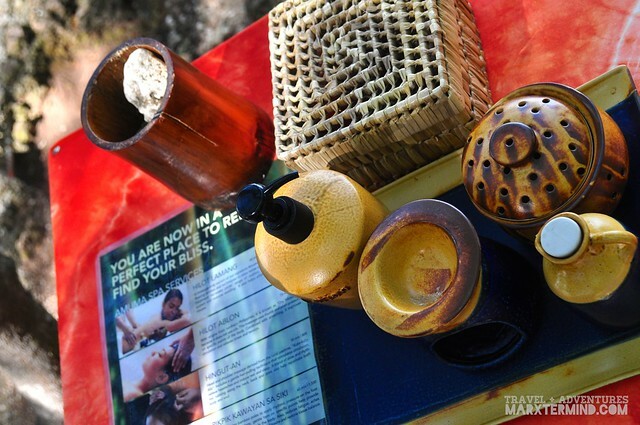 A trek around the Sumilon Island Resort happens on schedule and accompanied by a trekking guide. 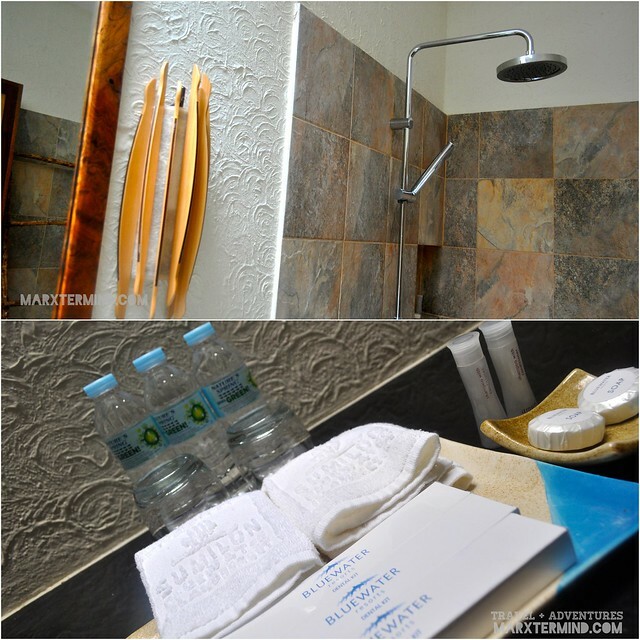 If you like to indulge into a more relaxing activity, then there’s a lot of it from the island resort. One that won’t be missing is the island massage and spa. 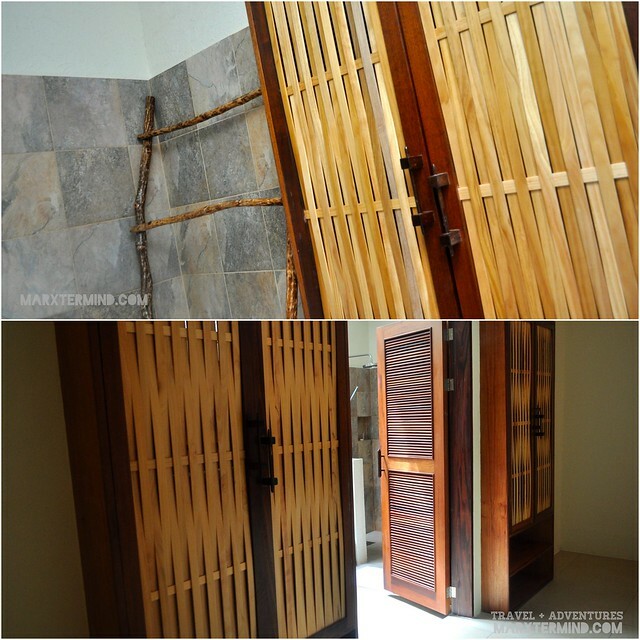 The resort offers different types of massage wherein each provides complete state of relaxation. Two facilities of the resort that I liked the most are the bubble pool and infinity pool. Should I say more about the reason? I’m a sucker for infinity pool. Apart from the comfort of living on this island, what’s really breathtaking about this resort is the sandbar. The sandbar is said to be known for its changing shapes and shifting locations around the island, depending on the season. The sandbar happens to be one of the drop off and pick up points for the guest visiting the island, letting the guest immediately feel how embracing it is to stay in the resort. The unclouded blue water on this part of the island is a temptation that’s very hard to resist. Seeing how clear the water is, and how its colour matches the summer vibe – made us all forget that’s the sun is on its peak. We basked under the scorching sun and enjoyed most of the sandbar and its beach. 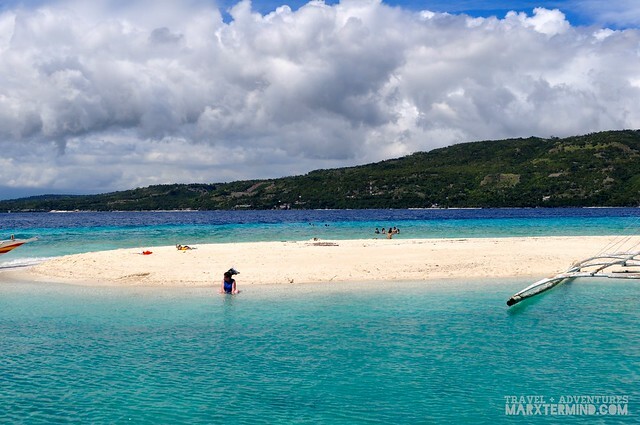 The sandbar itself is naturally enough for us to be amazed on how stunning the island of Sumilon is. 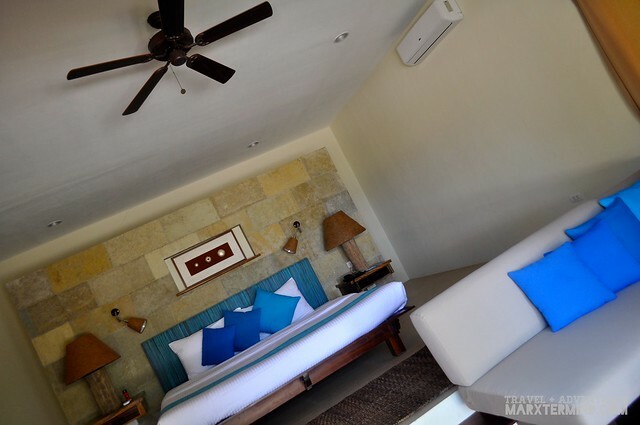 The warm accommodation, well-appointed amenities and friendly staff are significant add ons to feel the convenience and luxury of staying in an island resort. 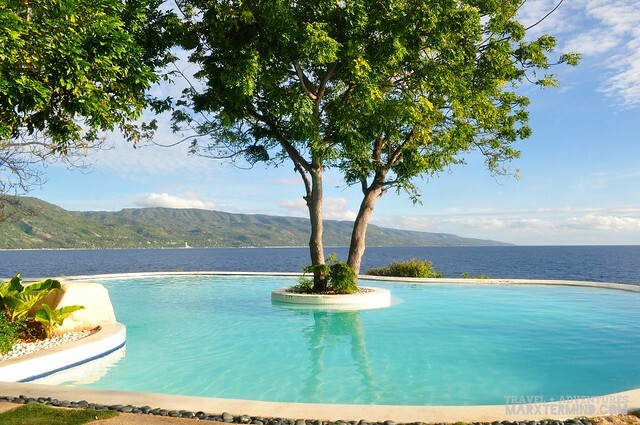 Truly, Bluewater Sumilon Island Resort let us experience how to embrace the charm of island living. 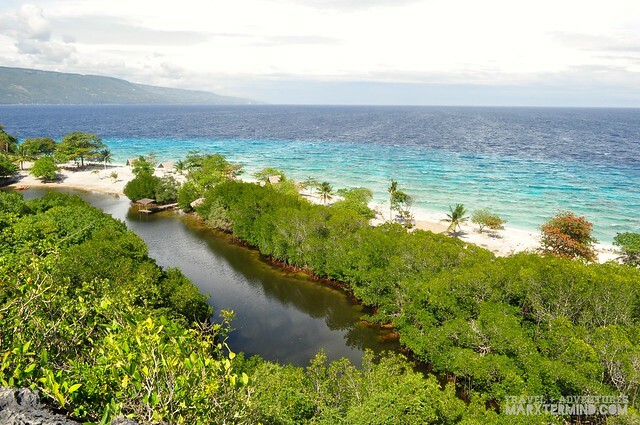 Our island getaway in Sumilon Island resort is a desirable prelude to summer, letting us feel that there are still a lot more of getaways to enjoy. To experience the same (or even more) allure of island living, visit Bluewater Sumilon Island Resort and get mesmerised on its natural charm and glam. The resort offers different type of packages that suits the budget and interest. For more information about the island resort, visit their website provided below. For discounts, book your stay on this resort through this link. ayos talaga! 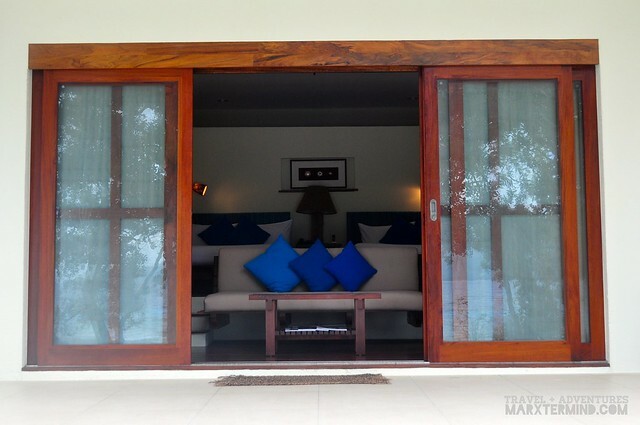 will be there soon..
Quite luxurious accommodation and a beautiful sandbar which is the charm of the island.